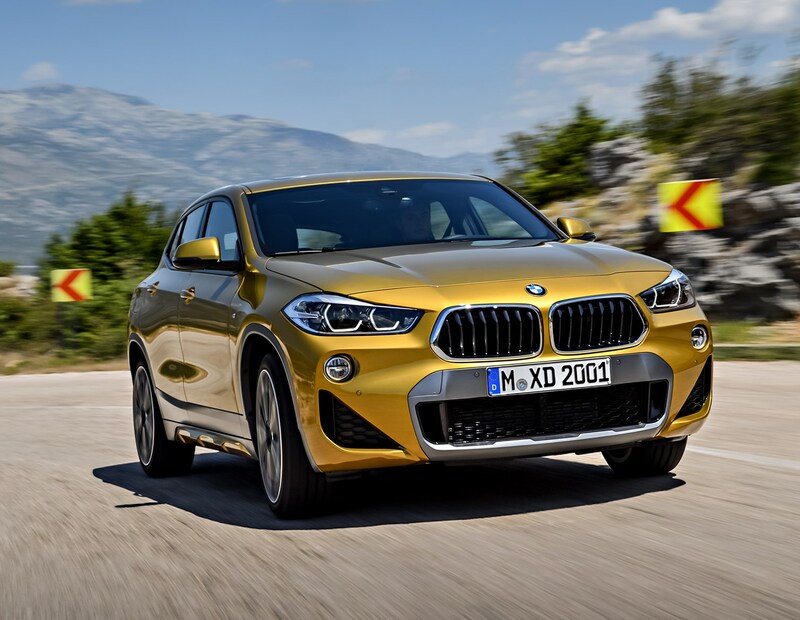 There aren’t a huge number of engines to choose from in the BMW X2 – just three options, all of which are four-cylinder turbo units. 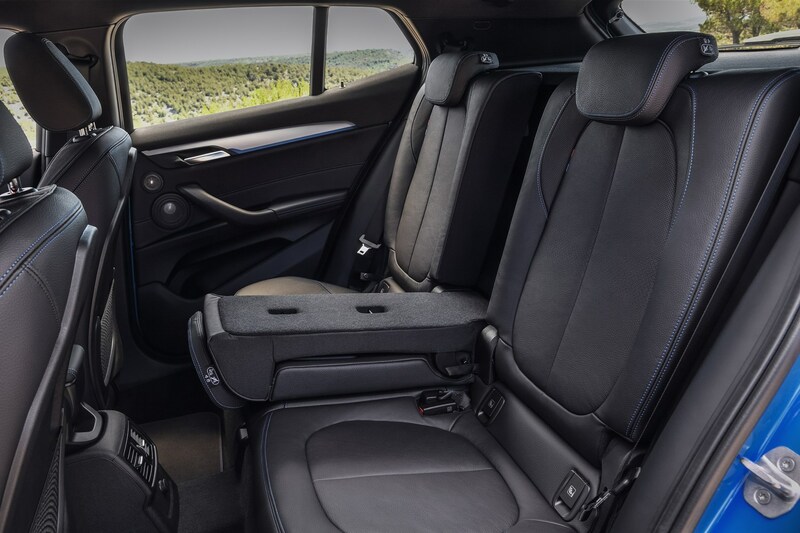 The most junior diesel engine is also the most flexible in terms of drivetrain choice – you can have it with front- or all-wheel drive, and with a six-speed manual or eight-speed auto gearbox. 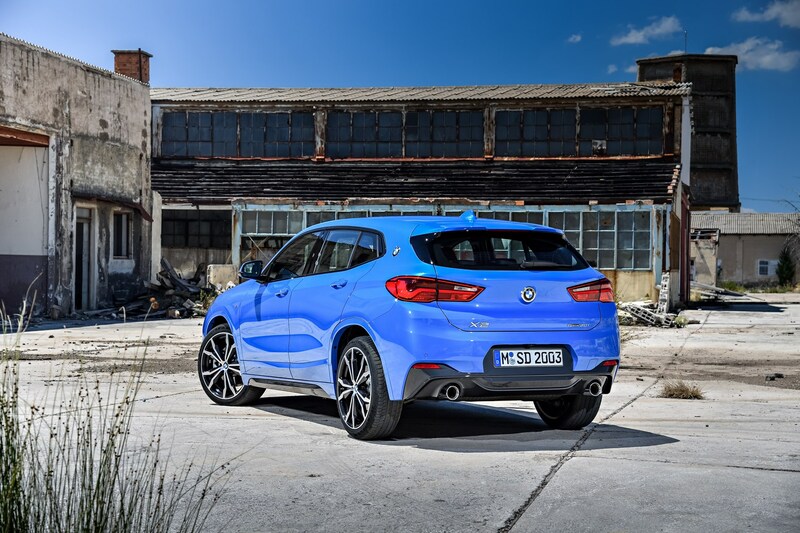 With 150hp and 350Nm of torque you can expect 0-62mph to take 9.3 seconds (a tenth faster in the AWD car) while the top speed is a whisker under 130mph. 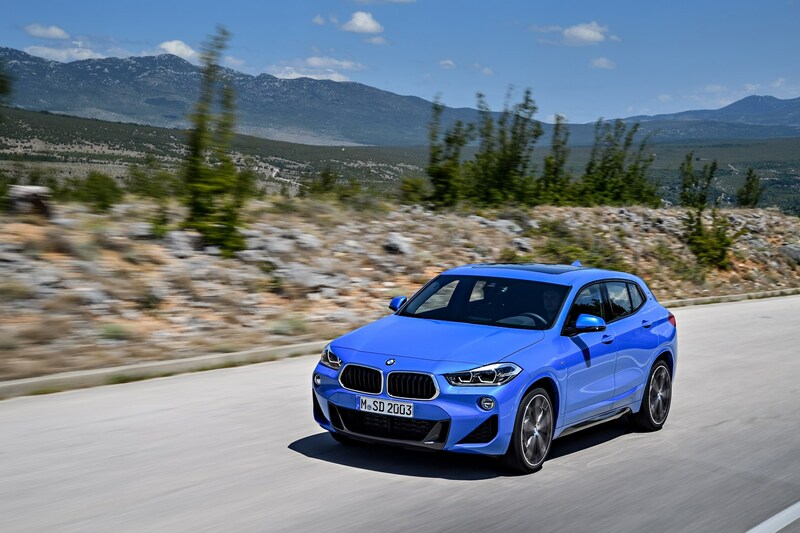 We’ve not driven this engine and while BMW reckons it’ll play second fiddle to the more powerful 20d car in terms of sales, its lower asking price means it’s a strong consideration. 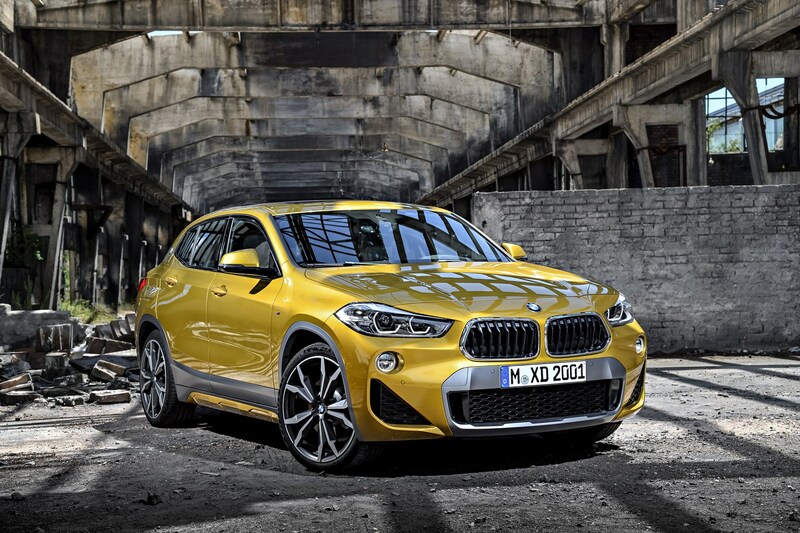 Expected to be the best seller is the 20d motor with 190hp and 400Nm of torque. 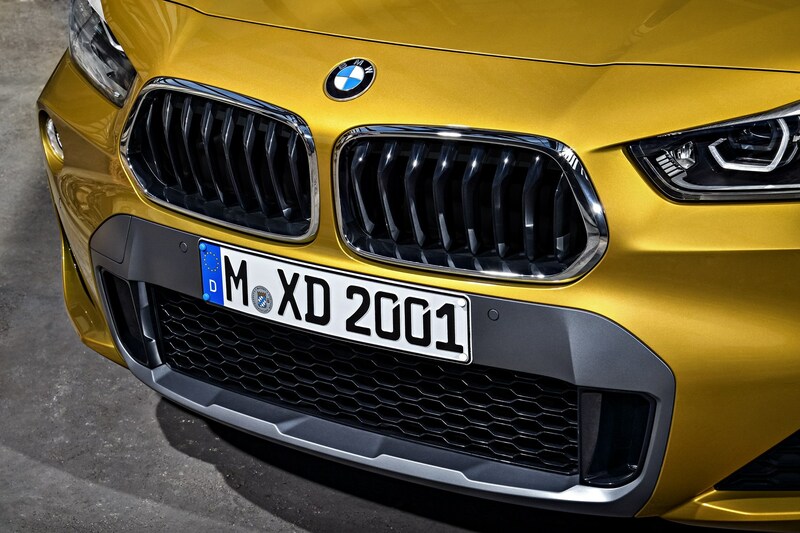 This means a 0-62mph time of 7.7 seconds and a 137mph top speed. 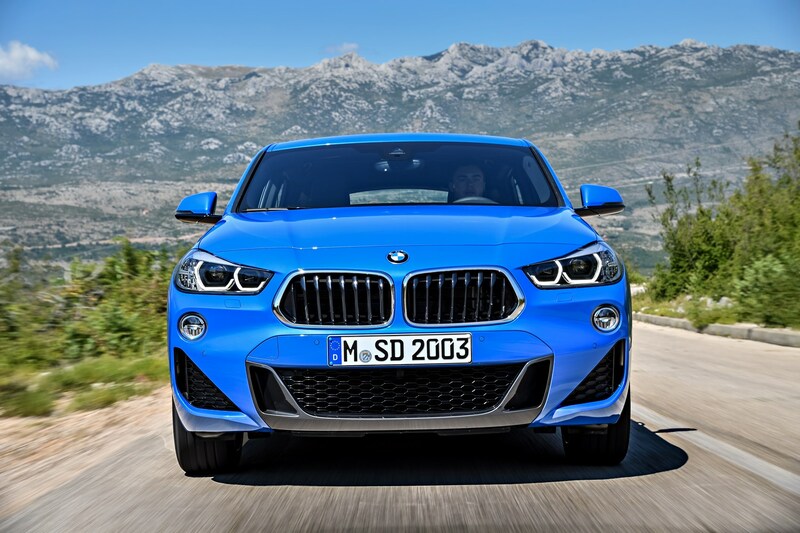 That wide spread of torque between 1,500 and 3,000rpm means the 20d feels muscular, if a little breathless at higher revs. 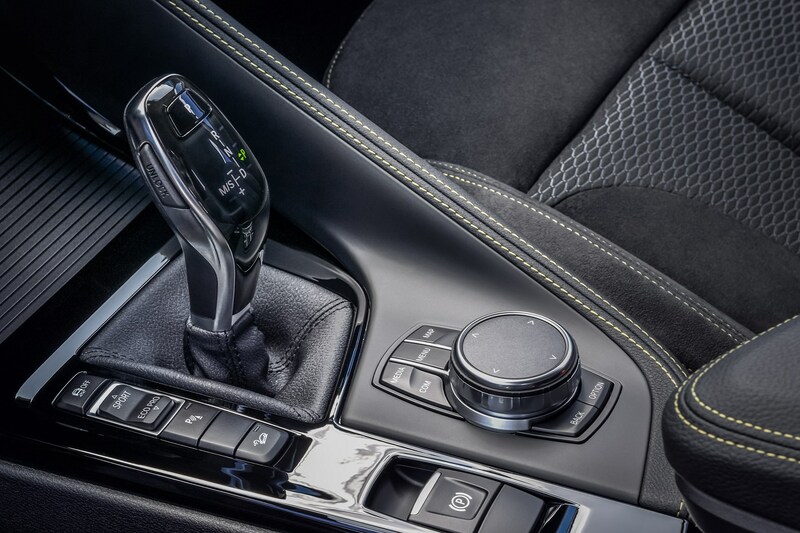 Thankfully the eight-speed auto ‘box does an admirable job of keeping the engine on the boil. 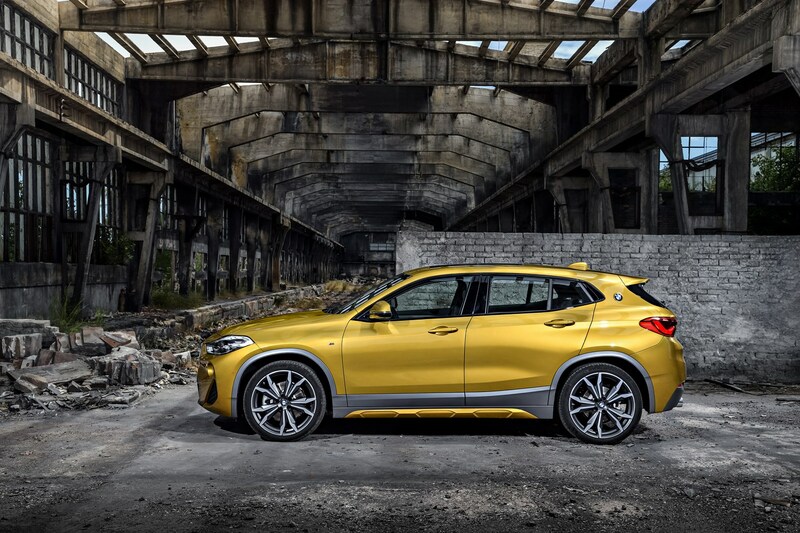 Making up the numbers a bit here is the X2 20i – offering broadly the same performance as the 20d version, thanks to 192hp and 280Nm of torque. 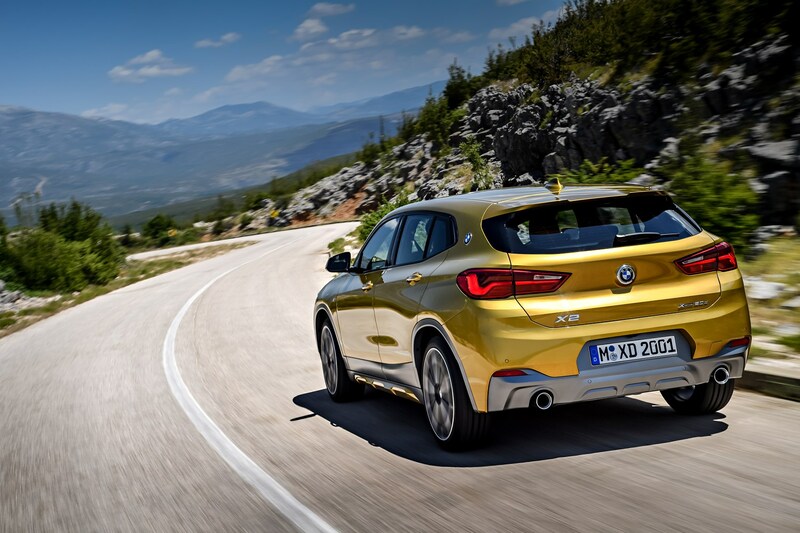 It also takes 7.7 seconds to accelerate from 0-62mph and tops out at a slightly higher 141mph. 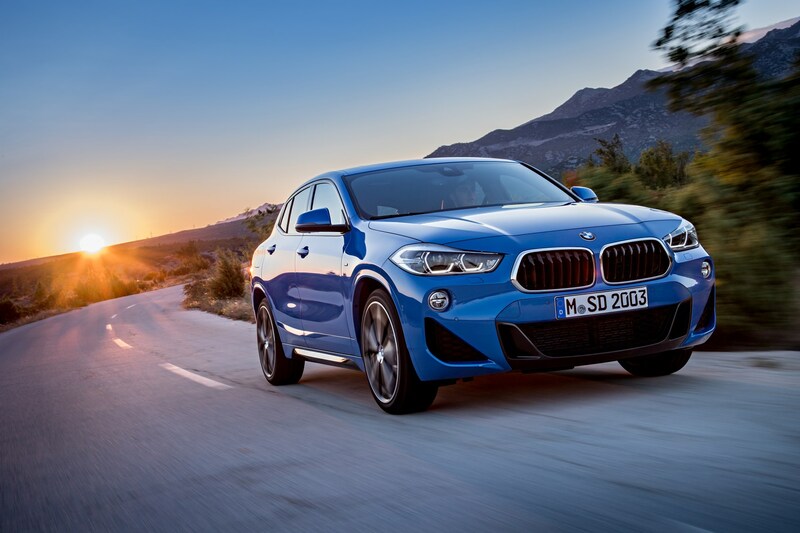 This car is available as a manual, front-wheel drive only. 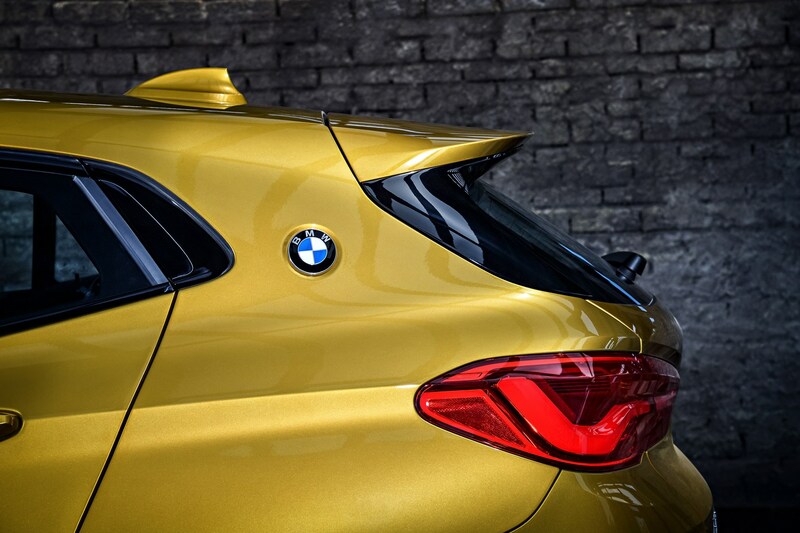 The BMW uses the same underpinnings as the X1, 2 Series Active Tourer, plus the next 1 Series. 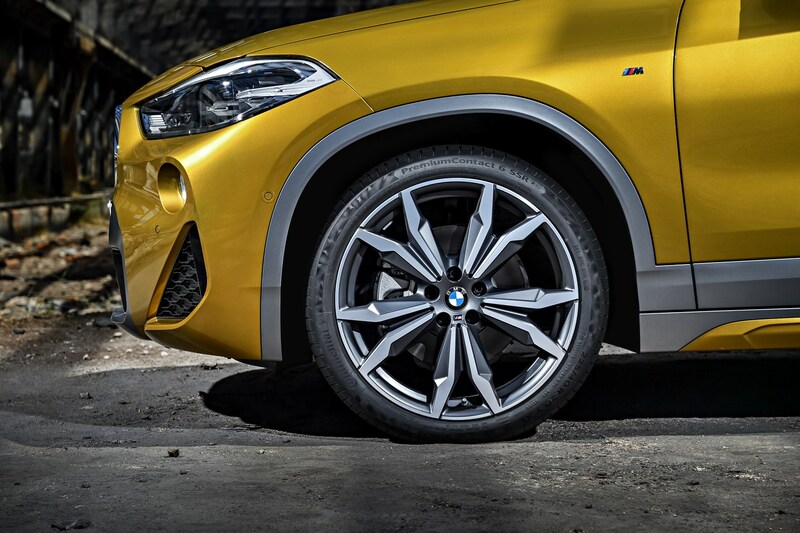 While it shares the wheelbase and track as the X1, it sits seven centimetres lower and measures eight centimetres shorter thanks to its tiny overhangs. 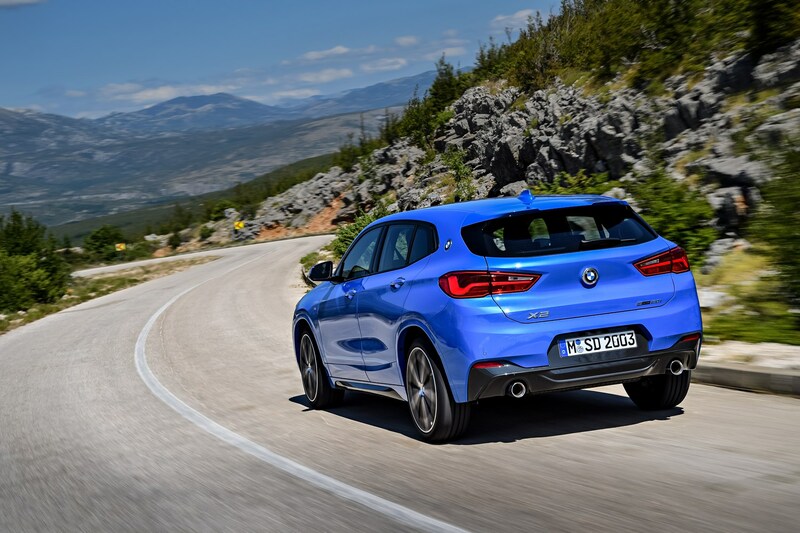 That lower centre of gravity is teamed with a stiffer body, plus specific springs and dampers with greater negative camber on the front axle, all of which point at enhanced agility. 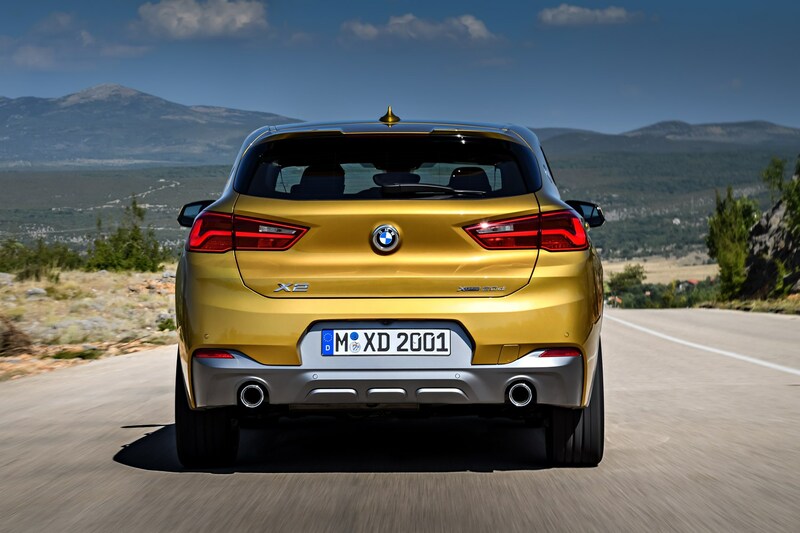 BMW’s engineers are particularly proud of the X2’s special preloaded rollbar bushings – don’t worry how these work, but just know that they help the car remain (relatively) flat while cornering, without resorting to an overly firm ride. 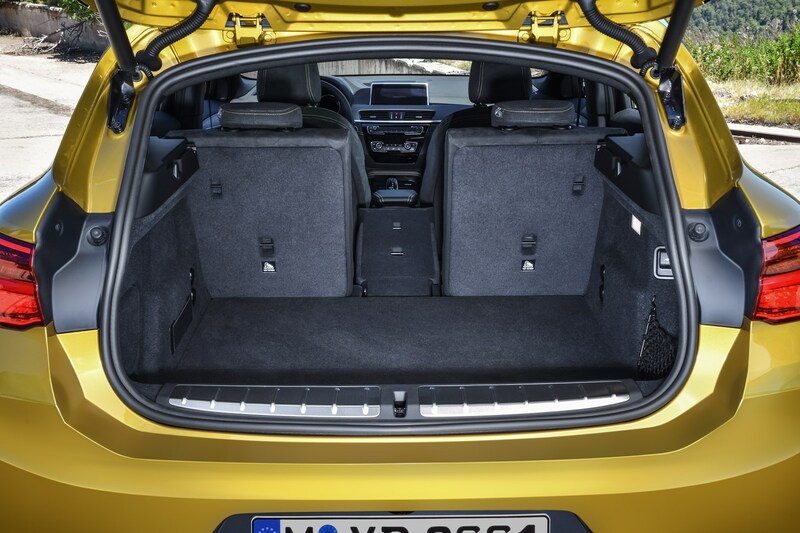 The X2 is pitched somewhere between the comfort-biased X1 and the edgy and direct MINI Countryman, benefiting from brake-based torque vectoring on the rear wheels to help keep things neat and tidy. 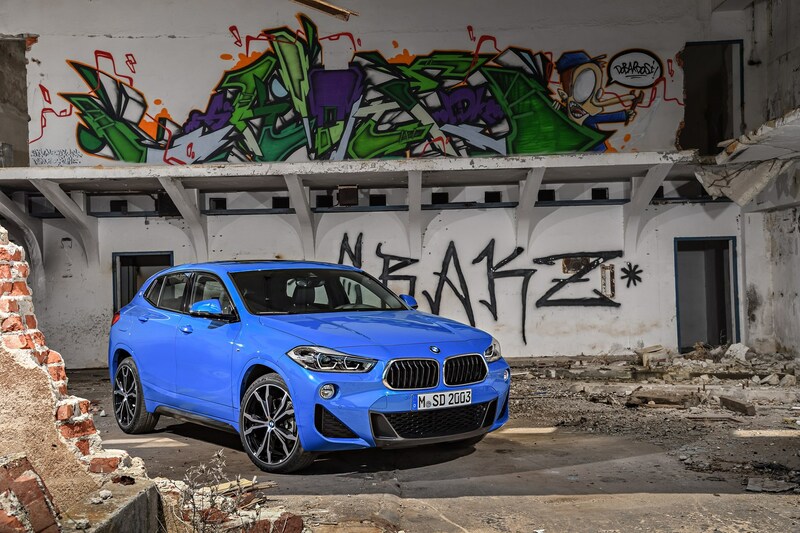 That sort of sets the tone – we’ve only driven xDrive cars so far, which felt very sure-footed and confident, but not all that exciting. 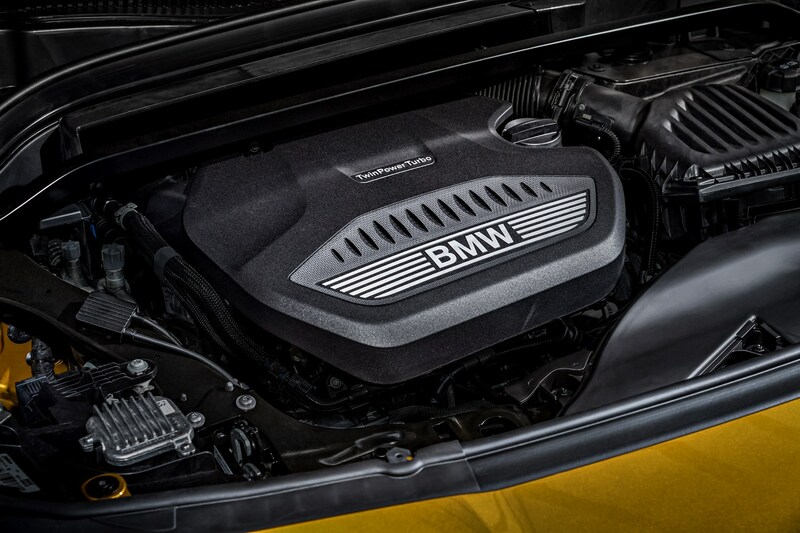 The 20i and 18d engines are available in front-wheel drive, and this is also the steady-state in the all-wheel drive 20d or 18d models. 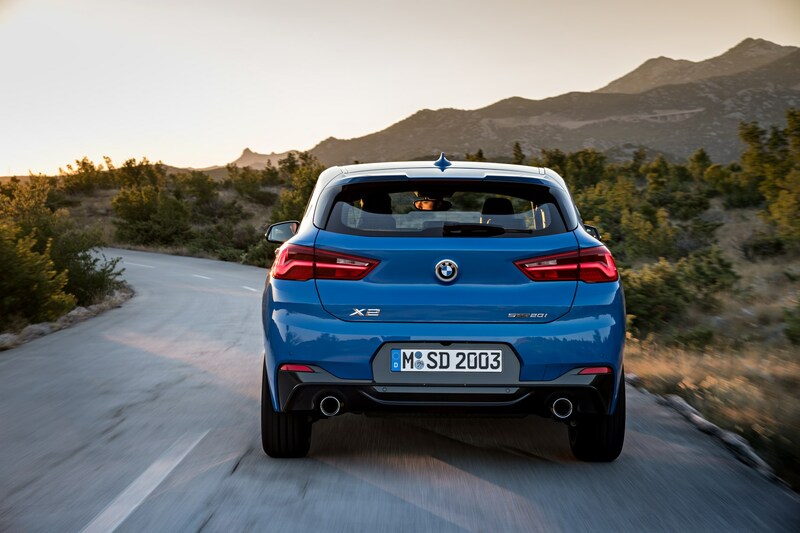 These can send up to 50% of engine power rearwards when the X2 starts to sense a loss of grip, but on the whole xDrive cars still feel predominantly front driven. 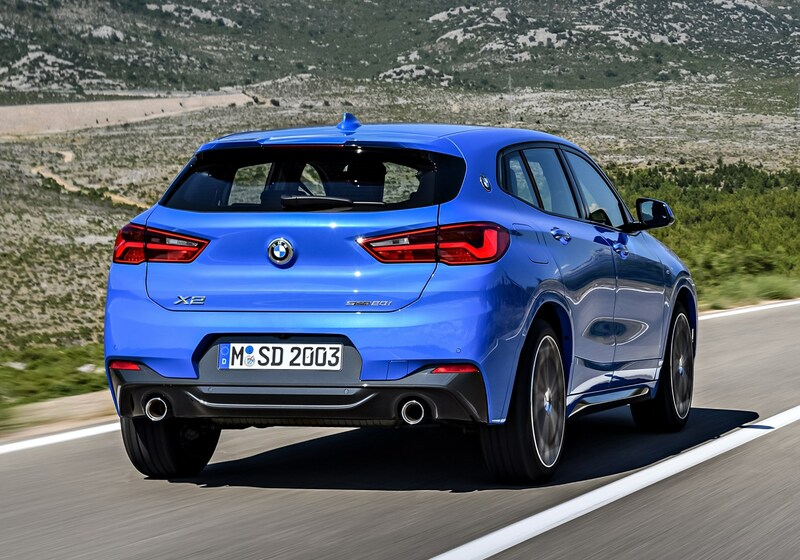 Even so, the X2 resists understeer well (a loss of front axle grip often experienced in front-wheel drive cars) and the steering has a nice weight to it, plus it’s really accurate and inspires confidence on a fast road. 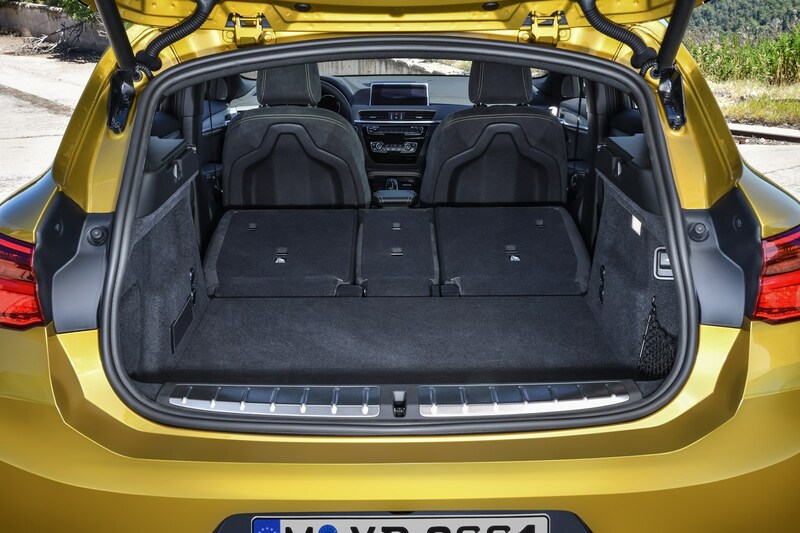 The interior of the BMW X2 is a real strong point – the seats are big and supportive and the dashboard is trimmed in a variety of squidgy, patterned plastics and brightly coloured accents. 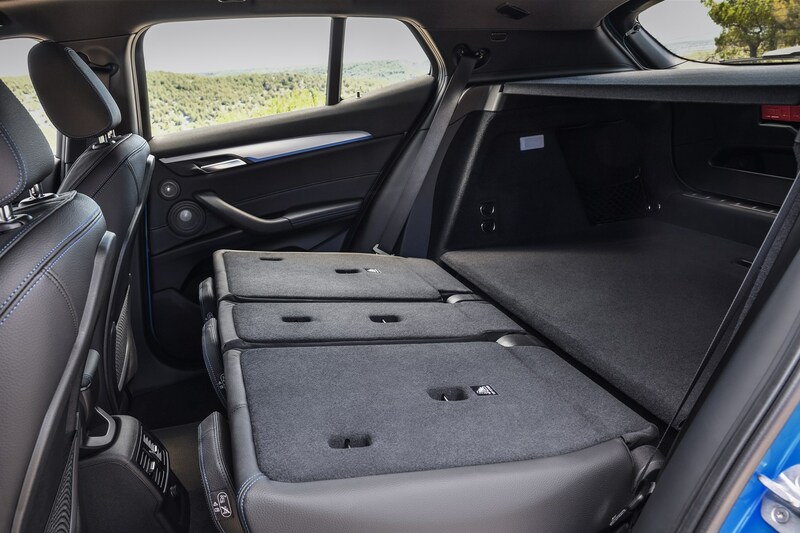 It sits somewhere between the restraint of an Audi cockpit and a brash-looking Mercedes-Benz cabin, with ergonomics taking a priority over sheer style. 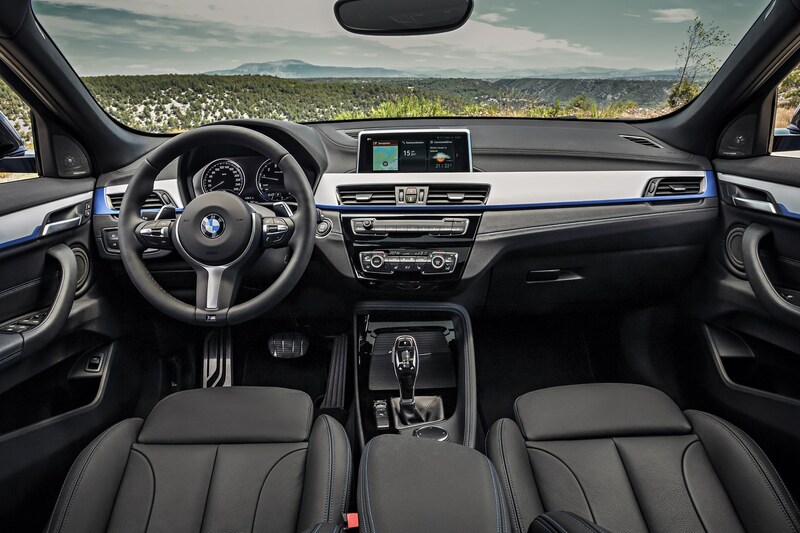 As you’d expect from a driver-focussed manufacturer, everything points towards the right hand seat, save for a passenger grab handle next to the gearshift. 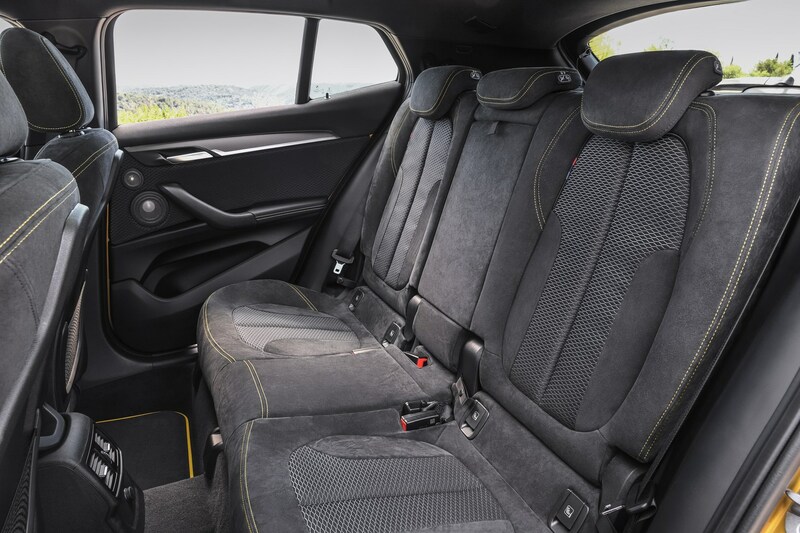 We’ve only sat in top spec cars so far but felt impressed by the quality of the cabin materials – from the soft-touch dashboard to the hexagon patterned fabric and alcantara combo on the seats. 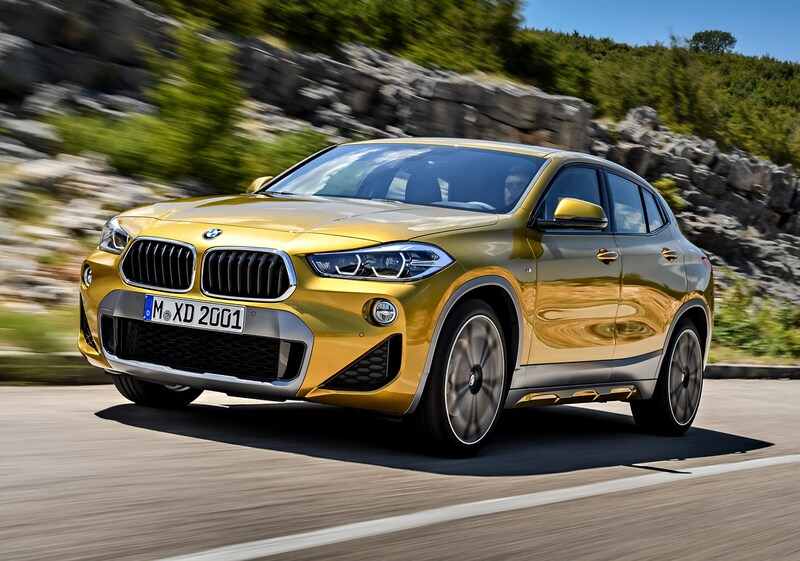 Decorative contrast stitching in yellow mirrors the bright gold exterior paint, plus there are some eye-catching options including Magma Red leather and aluminium or grained oak trim pieces. This is all underpinned by a stereotypical feeling of solidity, particularly in the way all the controls, buttons and switches operate. 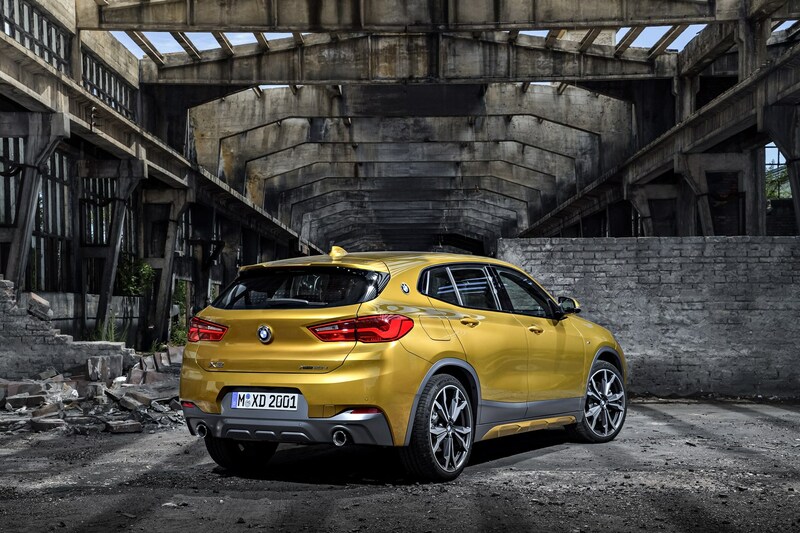 High-riding SUVs often prioritise a lofty driving position against an overtly sporty one, but thankfully the BMW X2 manages to strike something of a happy medium. 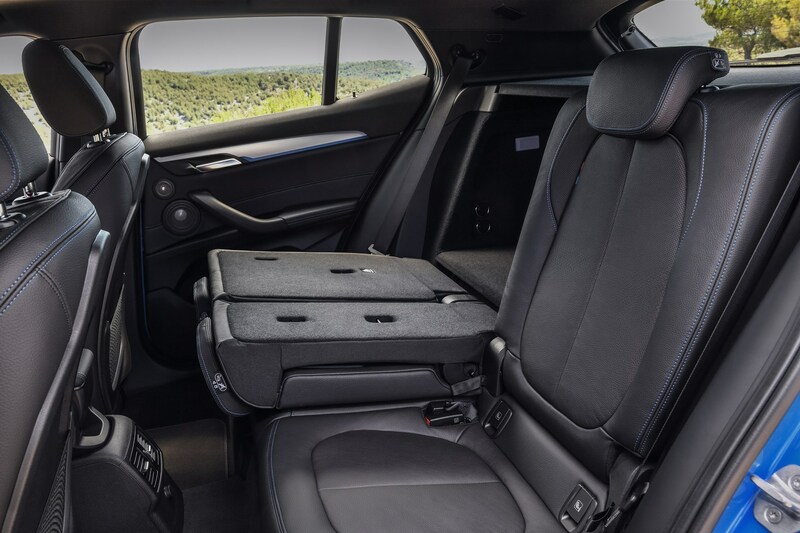 You can slam the driver’s seat low down for a near-hatchback feel, or boost it up to off-roader altitude, and still feel cocooned by the insulating interior. 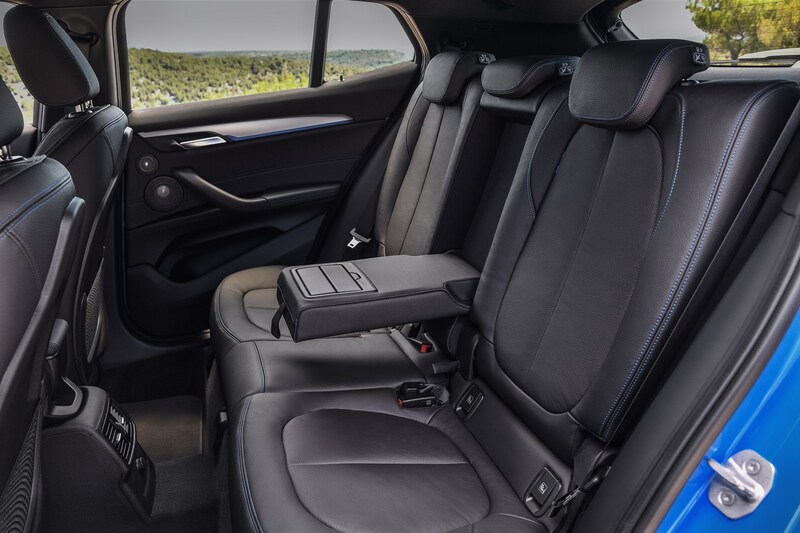 The wheel and seat have plenty of adjustment, including a moveable thigh cushion for the latter. 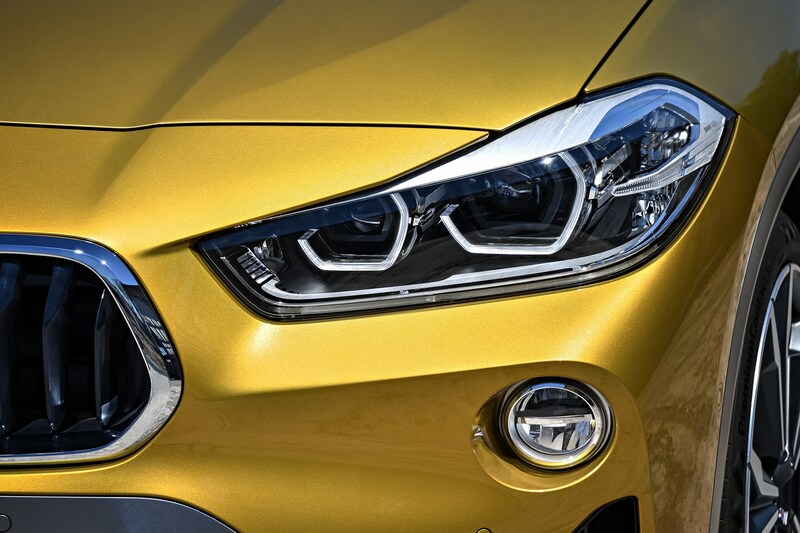 Low-set dials give you a good view forward, and are easy to read thanks to a bold and clear font. 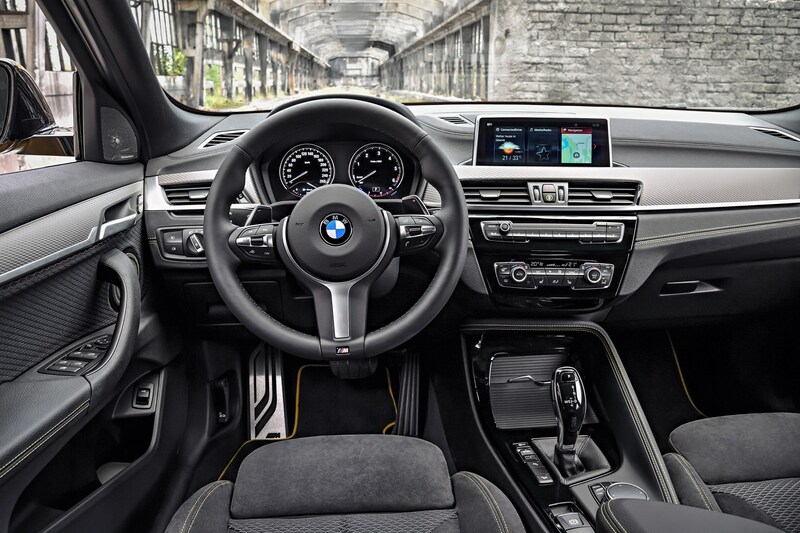 Those dials take the form of a black panel display that not only shows you the engine and road speed, but auxiliary functions including the sat nav and media info. 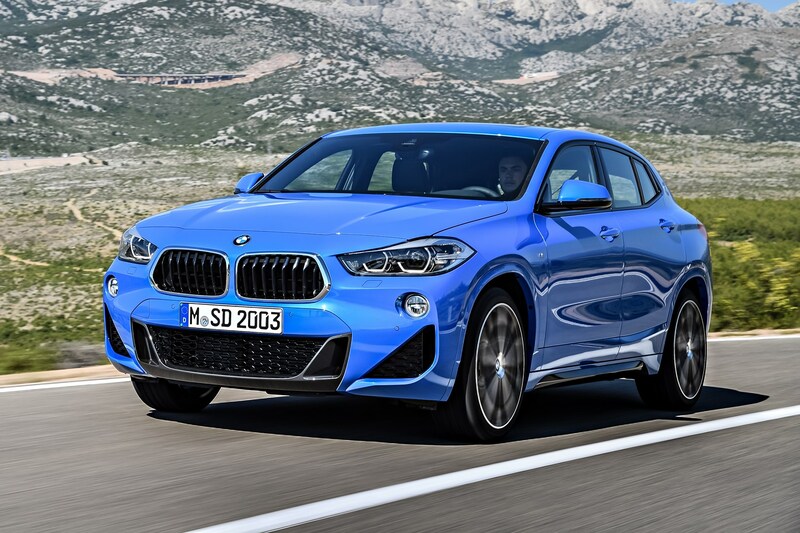 This can be supplemented by an optional head up display, and a central screen measuring either 6.5- or 8.8-inches in the top spec offering. 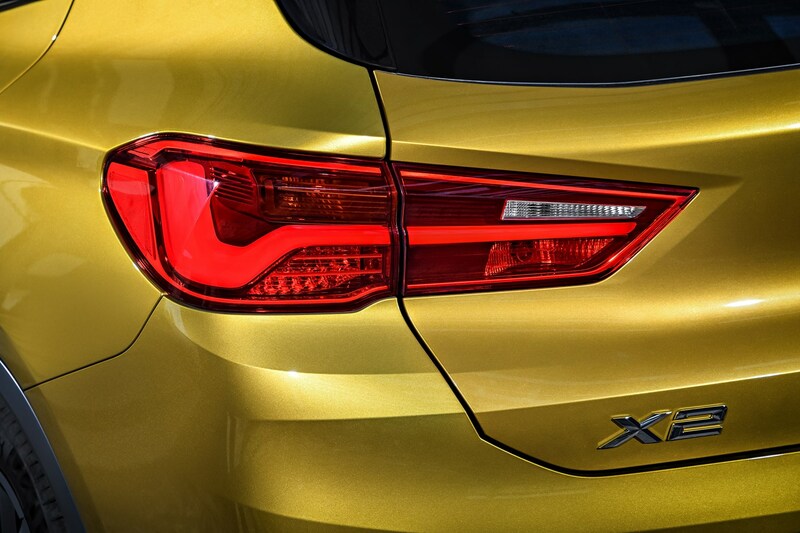 A reversing camera is an extra cost (rearward parking sensors are standard) and we’d recommend the former due to the X2’s restricted reversing vision - thanks to a substantial c-pillar. 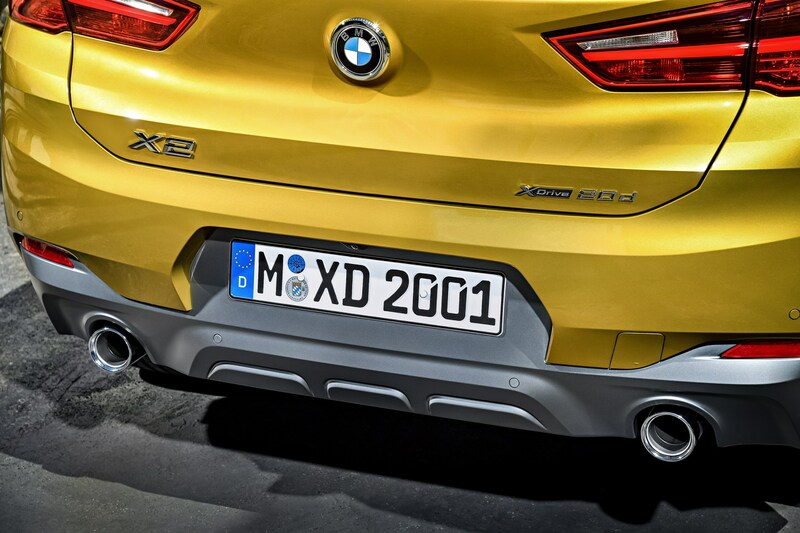 The BMW X2 is stiffer than the X1 whether fitted with standard or adaptive suspension, particularly with the 10mm drop M Sport cars boast. 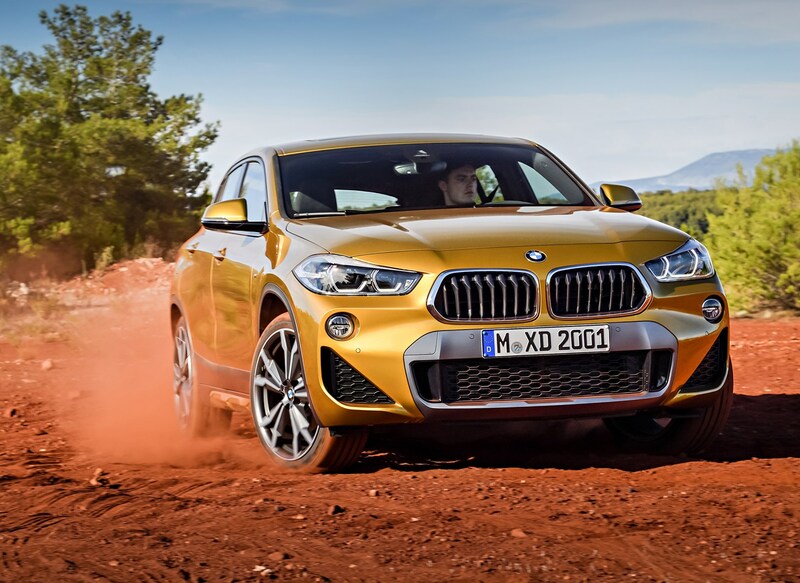 In town across cobbles and deep-set tram-lines the X2 bobbled rather than crashed, but it certainly made the surface seem busier than the 5 Series we’d hitched a ride in the night before. 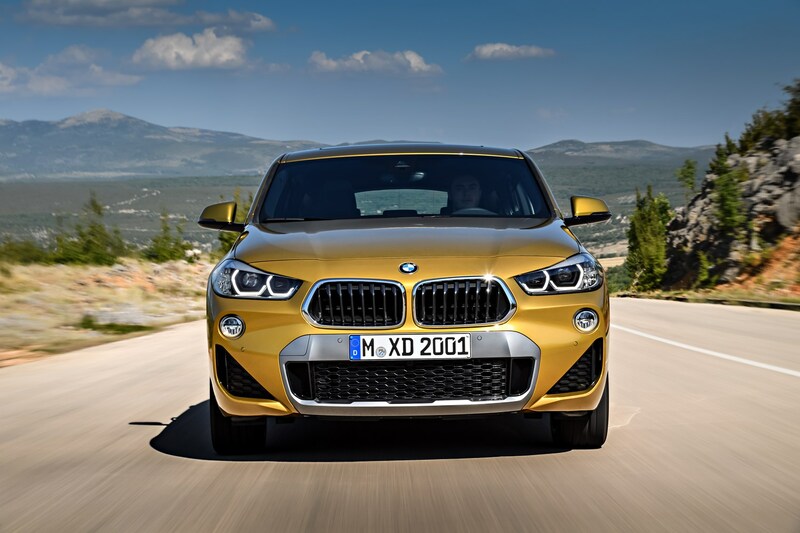 Until we’ve traversed some sharp-edged brittle tarmac or a jarring pothole and expansion joint combo – the kind that bamboozle sporty suspension set ups in the UK - we’ll hold fire on a final ride assessment. 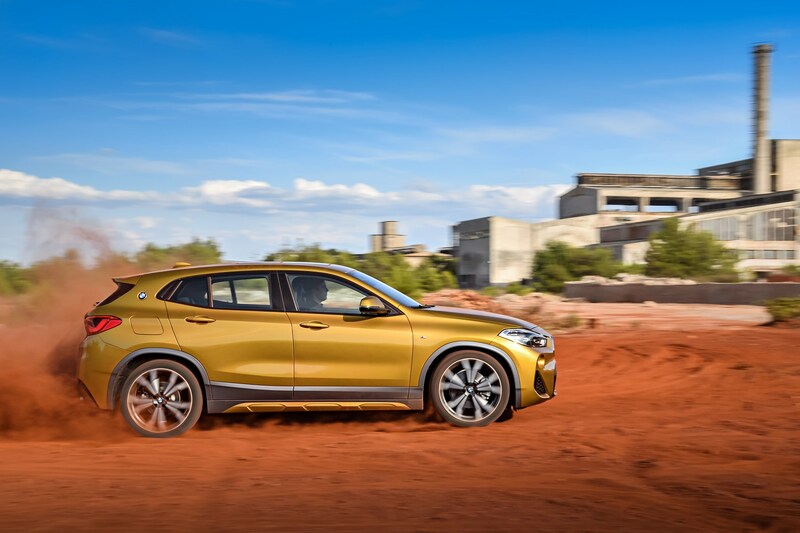 Inheriting some of the practicality of the X1 SUV, the X2 features three 12-volt power sockets plus USBs, as well as two cupholders in the front and rear. 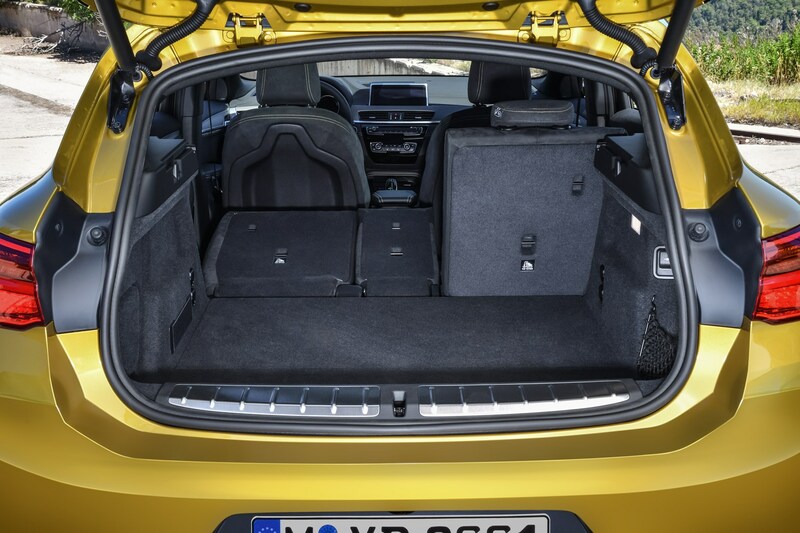 The driver gets a folding storage compartment, plus large door bins in the front and back. 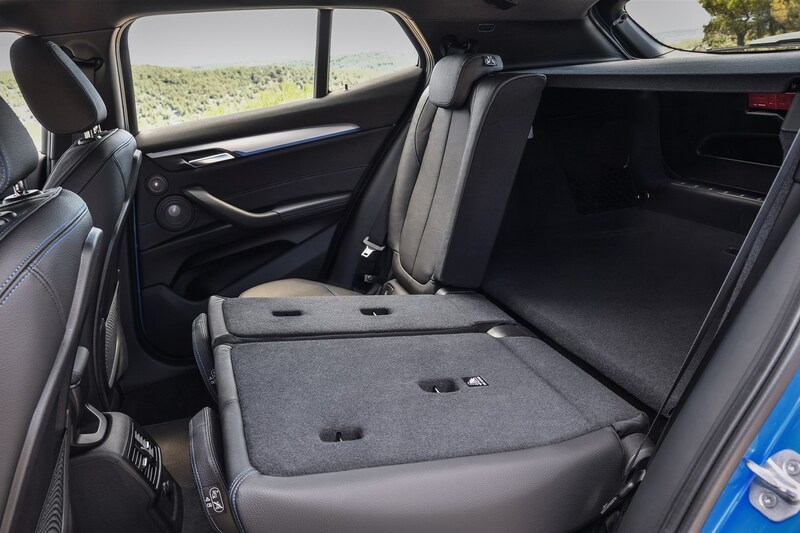 A set of passenger backrest nets offers a convenient place for flat items too.